Tim Burton seems like another perfect director to tip our hat to this month, as pretty much any of the characters in his movies would make perfect Halloween costumes. 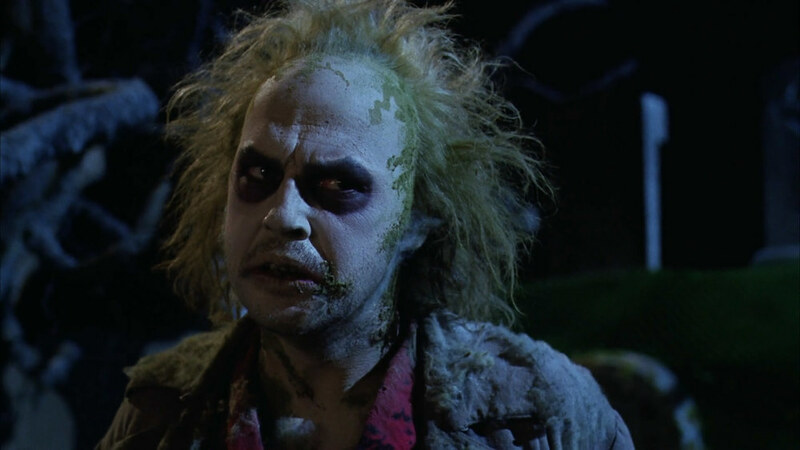 And given the latest rumors that he and Michael Keaton are reuniting to make a sequel to this film 25 years later (whether or not that's anything close to a good idea), it seems especially fitting to look back at Beetlejuice first in our "Movie of the Day" series this week, celebrating the films of Tim Burton. Alec Baldwin and Geena Davis star as the young couple who die in a car accident and return home as ghosts to find a new family inhabiting their house. They decide to contact the "bio-exorcist" Beetlejuice, to scare the new people away, but soon come to regret the decision. Michael Keaton plays the title character of course, in a funny, weird, and totally off-the-wall performance, and those are adjectives that describe the whole movie in a lot of ways. A zany, weird little oddity that's a kick to see again all these years later. October 21, 2013 by Ariel Shavonne.